For most people, a trip to the Alps means skiing or snowboarding, sipping hot cocoa, and just generally living the good life. Thrill-seeker Brandon Mikesell, however, wasn't content to idly enjoy the spoils of Switzerland. No, Mikesell hurled himself off a cliff in a wingsuit, strapped with GoPros, to record what it'd look like if Superman went on vacation. In fact, Mikesell recorded the flight from multiple angles to give an in-depth sense of his once-in-a-lifetime experience. Oh, and he nearly crashed into the side of the mountain. 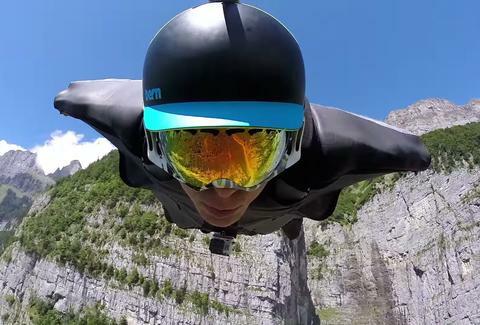 Watch the video below to see his insane stunt in full and soak in unprecedented Alpine views. Also, don't try this at home. Even if home is on top of a mountain.